Well you’re not dreaming; this bluesy project is definitely real life. Dripping with edgy emotion and raw sentiments, Dreams in Static will instantly offer your ears a gateway to the world of soul. This project is produced by LA based hip hop producer Diwon and multifaceted guitarist/composer Dugans, who bring a modern spin that is both unique and yet warmly familiar to any fan of blues, jazz, and soul. The featured vocals of singer/composer Akie Bermiss bring the project to the boiling point, as he seems to sing straight from the recesses of the heart, adding a perfect sense of personality to their first single, “You’re On Your Own”, and substance that you can feel straight down to your bones. With a brand new music video out for “You’re On Your Own”, Dreams In Static is definitely making waves and gaining attention for their addictive take on music. You can take my word for it, or you can find out about the project direct from the geniuses behind it. We chatted with Diwon and Dugans about Dreams in Static, where they pull most of their influences from, and what we can expect from a dexterous project such as this. TheIndieSD.com: Can you tell me a little about your new music video for the single ‘You’re on Your Own’? Dreams In Static: There are so many ways to fall into a cliché with a heartbreak song. We thought expressing it through a boy’s first crush was clever and fun. TISD: It sounds like a lot of elements are melded together – rock, blues, soul! Tell me about the process of when you write your music? Diwon: Dugans and I have a similar vibe that we like regardless of what type of song we are making. Some of the songs start with me throwing hip a beat idea that’s just drums, effects and synths, other times he will send me a bassline. Once we have done a couple back and forths on the idea, we bring in [singer and vocalist] Akie to murder the track. Dugans: If not for technology Dreams in Static would not be possible. We never actually sit together and write. Diwon is in LA and I’m in New York. Basically, a track starts with a beat and then a riff. We’ll bounce it back and forth over the internet. Each time, a new layer is added. It’s a fun process because the tracks are constantly being reinterpreted. TISD: Now that you’re collaborating with a vocalist, Akie Bermiss, did you change any part of that song writing/producing process? Diwon: Our earlier compositions weren’t always structured in the verse/bridge/chorus style, some of them were way more linear and built on ideas that didn’t necessarily repeat again. When we work with Akie we want to make songs that people will nod their heads and sing to, so it follows a more traditional format. Dugans: No, we basically add Akie to the last phase of the process. We send him a verse and chorus sketch and he does his thing. The production is a similar process to the writing. 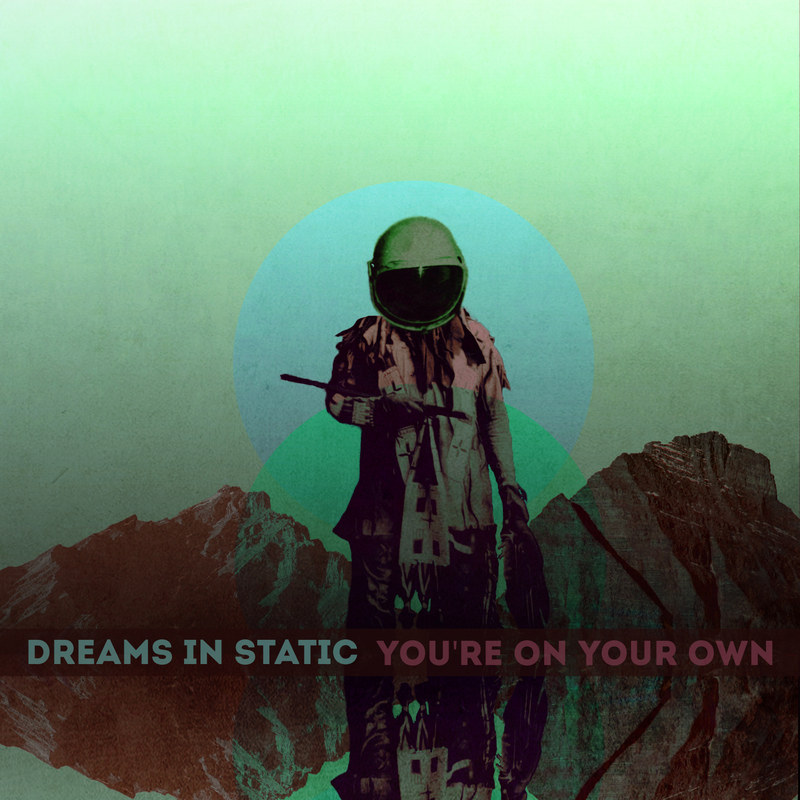 TISD: Your last Dreams in Static album was a completely instrumental project. What made you switch gears and feature a vocalist in your upcoming album, Part of the Machine? Diwon: Only Akie Bermiss could turn an instrumental band into a vocal filled band of instrumentalists. Dugans: The first Dreams in Static album was an art project. We wrote it as an avant-garde piece. For [the upcoming album] Part of the Machine, we were thinking the opposite. We wanted to make a record with mass appeal. Naturally, that starts with a great vocalist. We had worked with Akie in the past and he was our first choice. TISD: Musically and professionally, do you see more opportunities for Dreams in Static now that you’re featuring a vocalist collaboration? Diwon: I think that people still love instrumental music, but instrumental music as a fad when DJ Shadow, Prefuse, RJD2 and the like were at their height, has passed. I think songs with vocals have more opportunities to really get out there, whether it’s big placements in film and TV or just on YouTube with a music video. Dugans: Absolutely, I think vocals are the foundation of popular music. TISD: Given all of those elements in your music, there must be a lot of musical influences for you. What are some of the artists that have helped shape your music today? Diwon: Michael Jackson was the first album I got on vinyl; it was Thriller and that definitely had a big influence on me. Dr. Dre’s The Chronic was also huge, then the Beastie Boys and later John Coltrane. Dugans: Too many to name but here are a few: Mingus, Aretha Franklin, David Bowie, Marvin Gaye, The Smiths, Johnny Cash, Jimi, the list goes on…. TISD: I see ‘Pulp Fiction’ and ‘Curtis Mayfield’ mentioned a lot when describing your work. How do you want fans to feel when they listen to Dreams in Static? What kind of stories and emotions do you want Dreams in Static to create with its music? Diwon: It’s funny, when I write these descriptions that I sort of see in my own head, I often forget that there is a good chance that blogs will quote and run with those elements of the descriptions, but it just happens to be a couple things that come to mind when I think about our music. I’m not sure what emotion we want people to feel other than that feeling of the listener thinking that they are awesome and that they feel great and inspired listening to the music. That feeling you get when you have your headphones on and you are walking down the street to your favorite upbeat song, we want our songs to give you that feeling. Dugans: Those references definitely conjure a particular aesthetic and vibe. We’re trying to forge a retro sound with modern tools in the hopes of creating something familiar but fresh. We hope Part of the Machine will accomplish that. TISD: There are a lot of very talented people in this project. Tell me a little about each piece of the puzzle and what they offer to Dreams in Static. Akie Bermiss: the singer and lyricist, [and] has another band called Aabaraki. Diwon: Composer, Beatmaker, Producer, [and] has solo projects and another band called Bonhom. Dugans: Producer, composer, guitarist/bassist, [and] has another band called Raliss. Dugans: You could say Part of the Machine is made up of three pieces: music, vocals and beats. I make music to Diwon’s beats and Akie adds vocals on top. It’s a really interesting collaboration because each member is contributing a unique and essential part to the project. We’re all coming from different angles and genres but the chemistry works beautifully. My goal on guitar is trying to take it beyond its comfort zone. My approach to the bass is simple: put on Motown or Stax-Volt and get schooled. Make sure to follow Dreams in Static via their official site or their Facebook page for updates as well as their future 2014 tour dates. And if you feel musically inclined, the group is hosting a remix contest for their single, “You’re On Your Own”. In the words of their Facebook page, “remix this and get rich or die trying”, since the group is offering a $500 prize and the chance to be officially released.